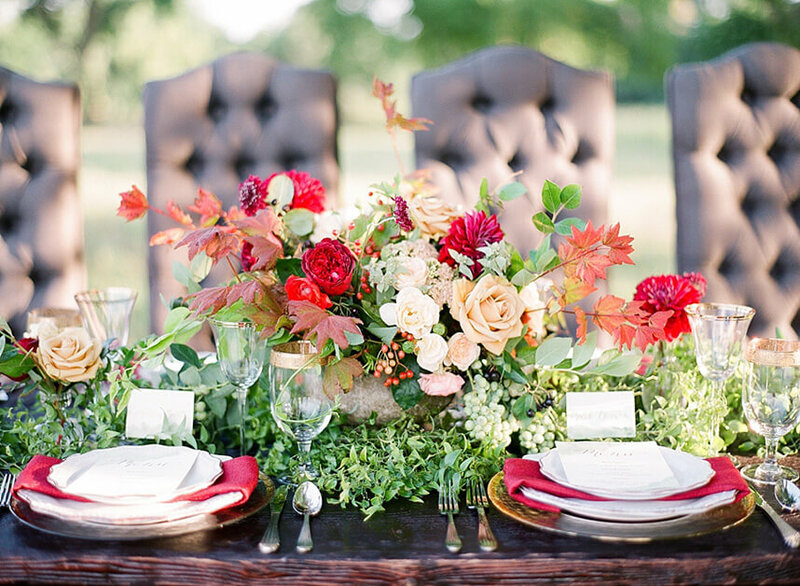 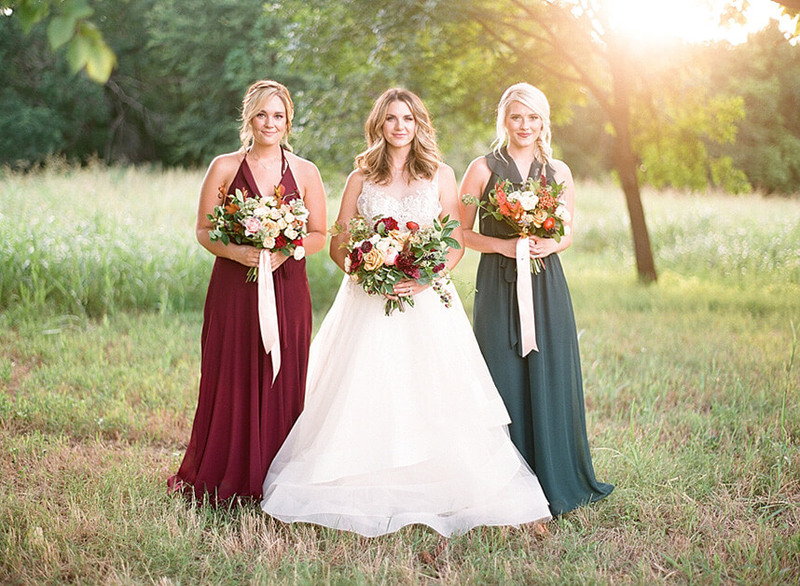 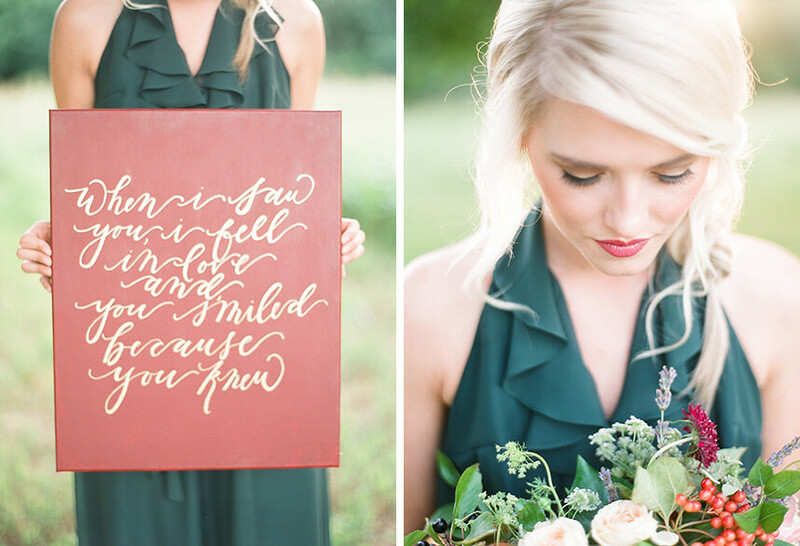 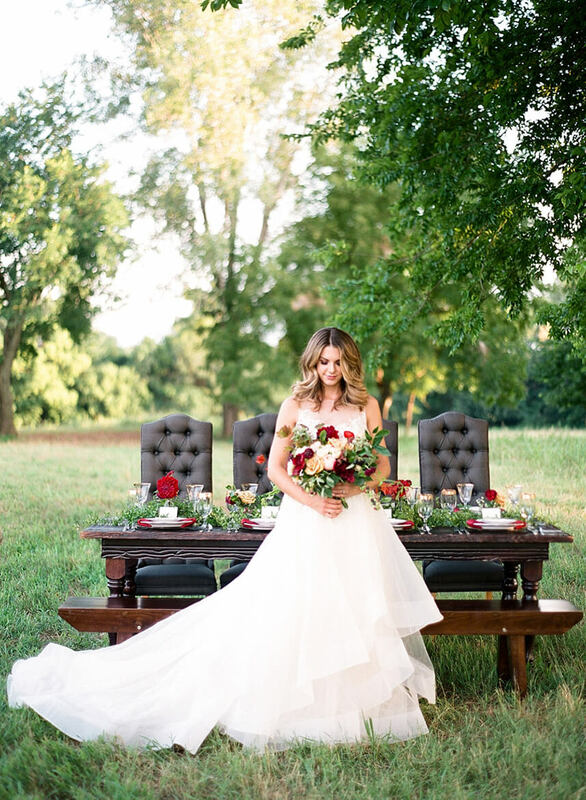 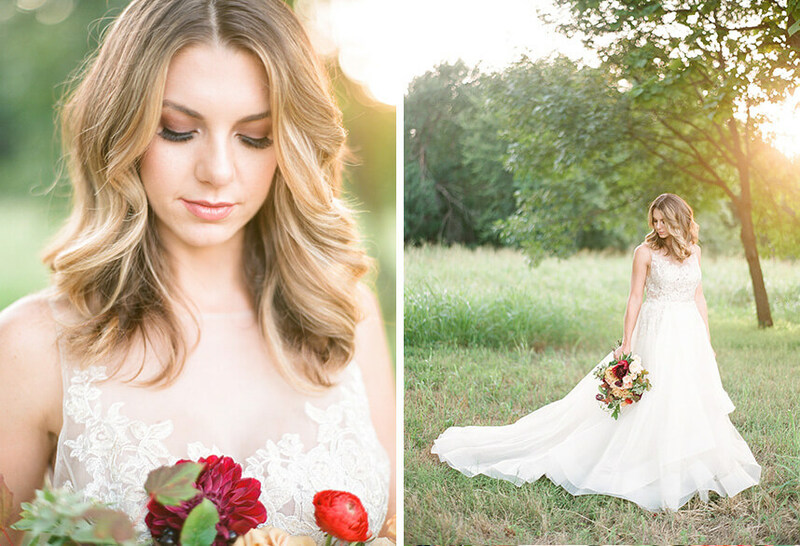 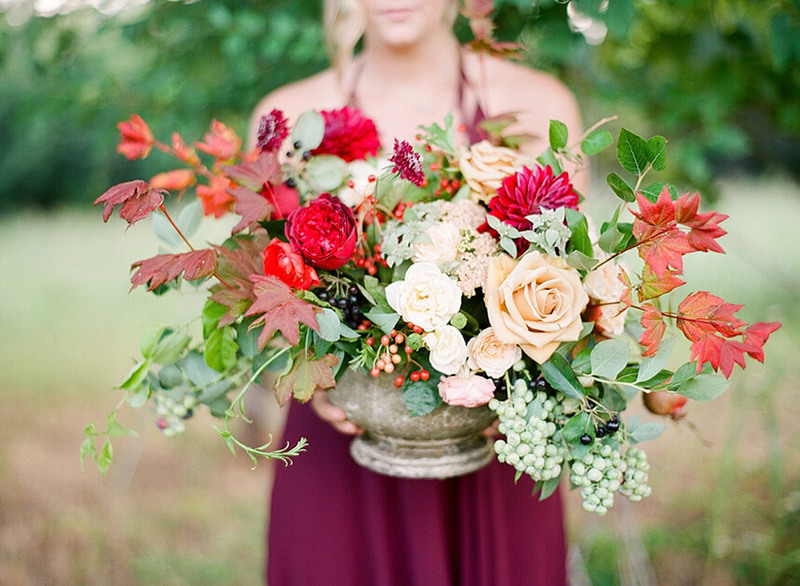 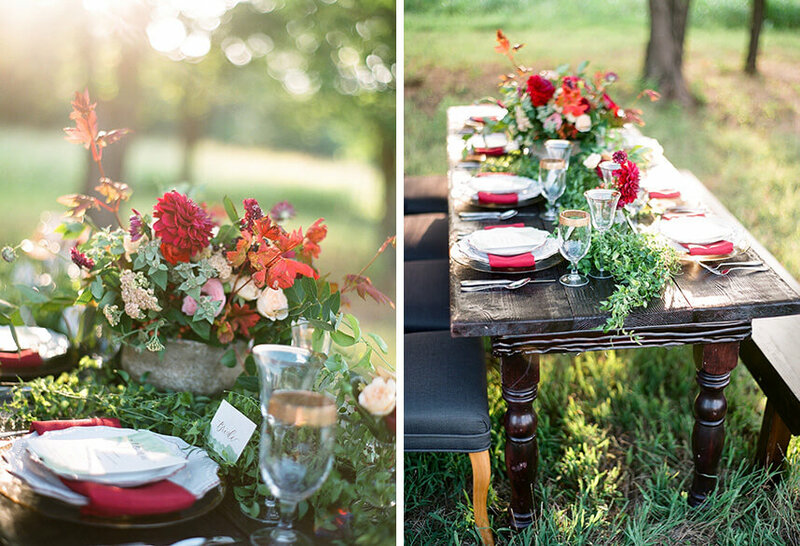 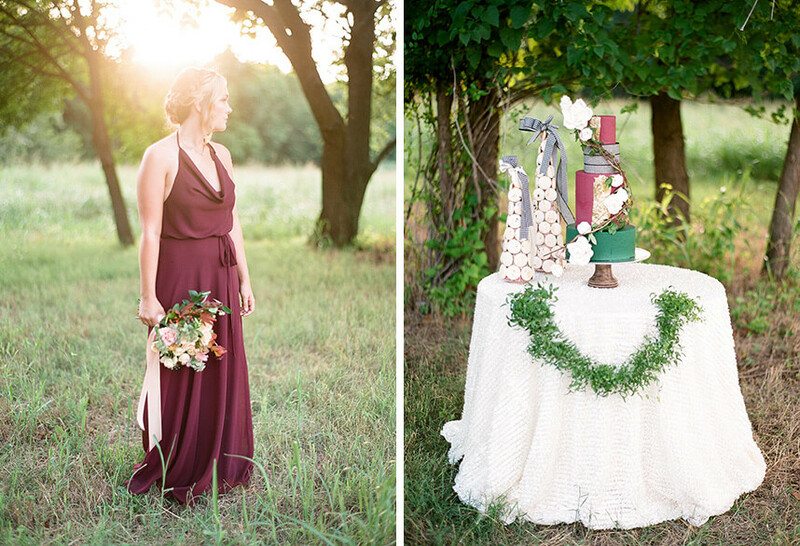 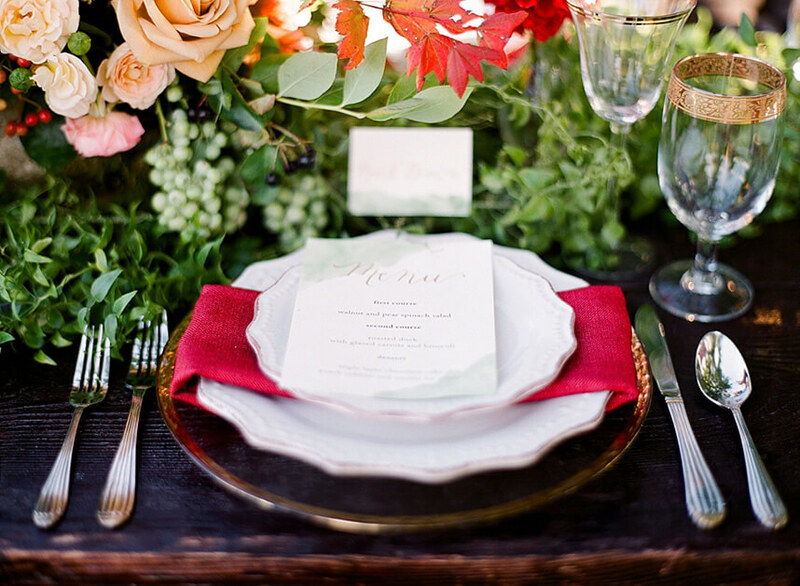 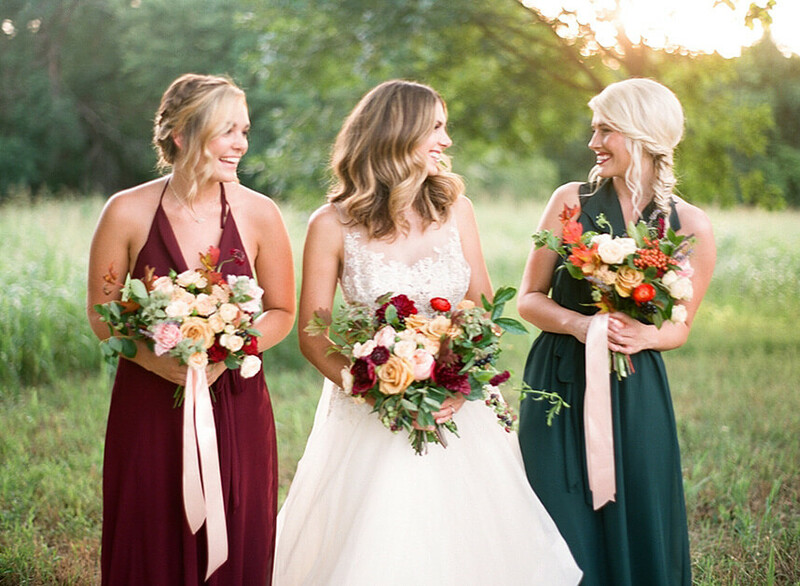 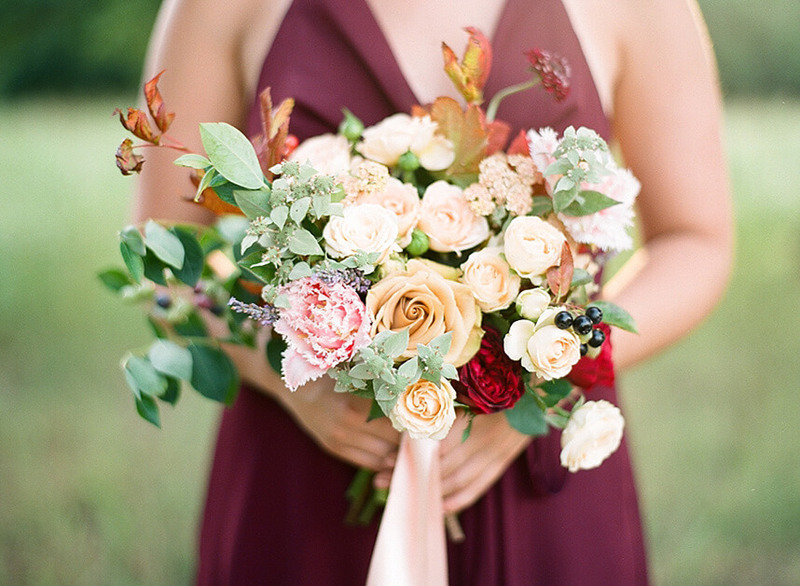 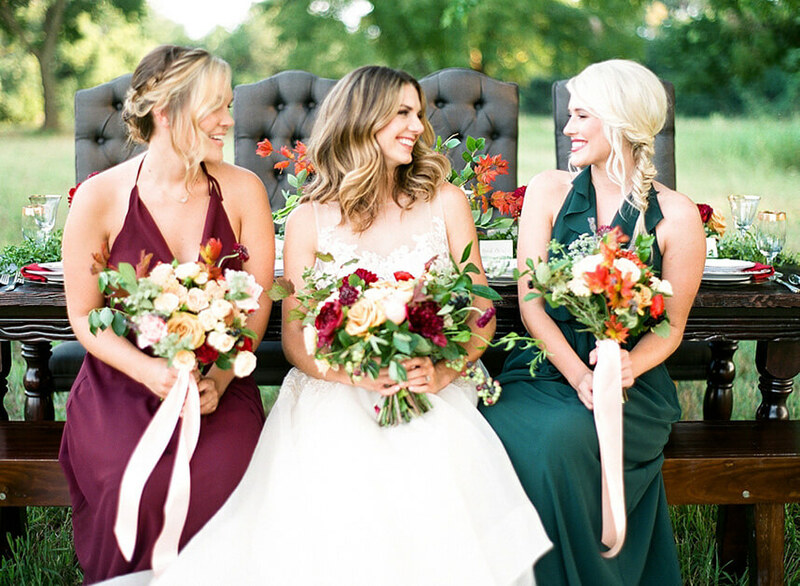 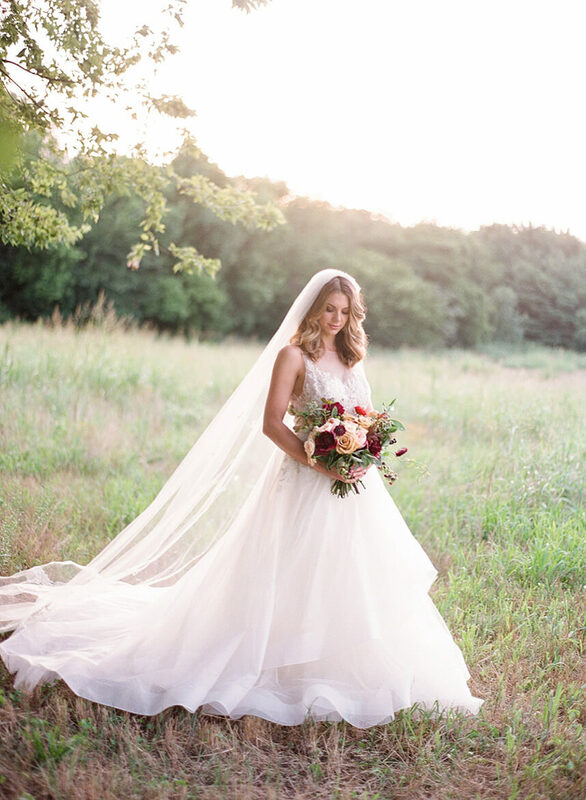 How gorgeous is this autumn romance wedding inspiration designed by Aisle Be With You at The Springs in Edmond?! 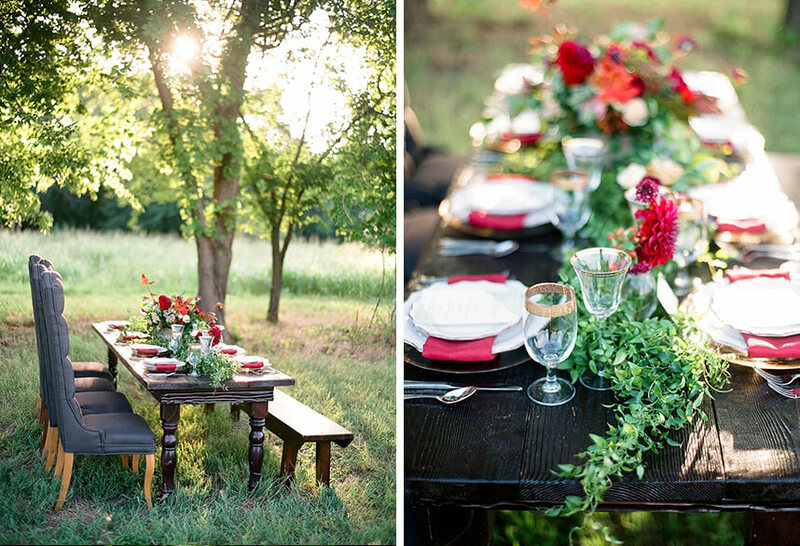 The warm tones mixed with shades of green give an elegant look to this rustic, outdoor setting. 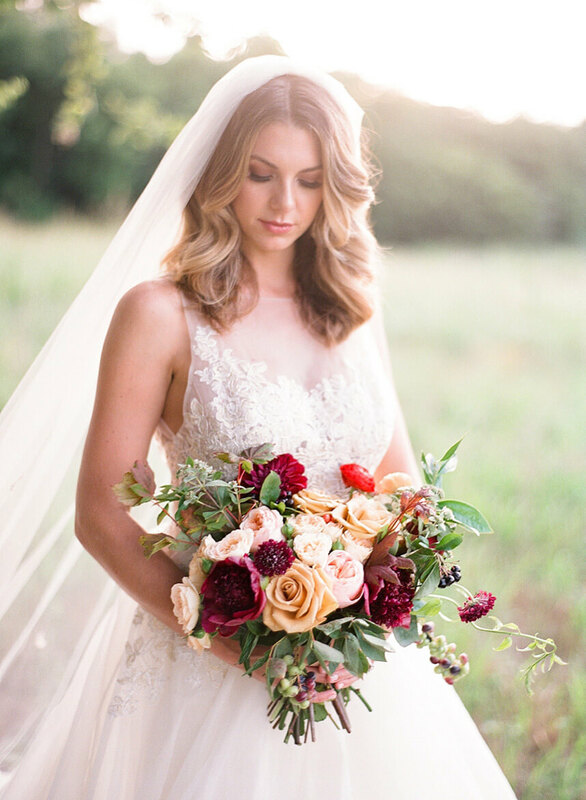 The floral arrangements from Poppy Lane Design along with rentals from Marianne’s Rentals incorporate the essence of this season perfectly. 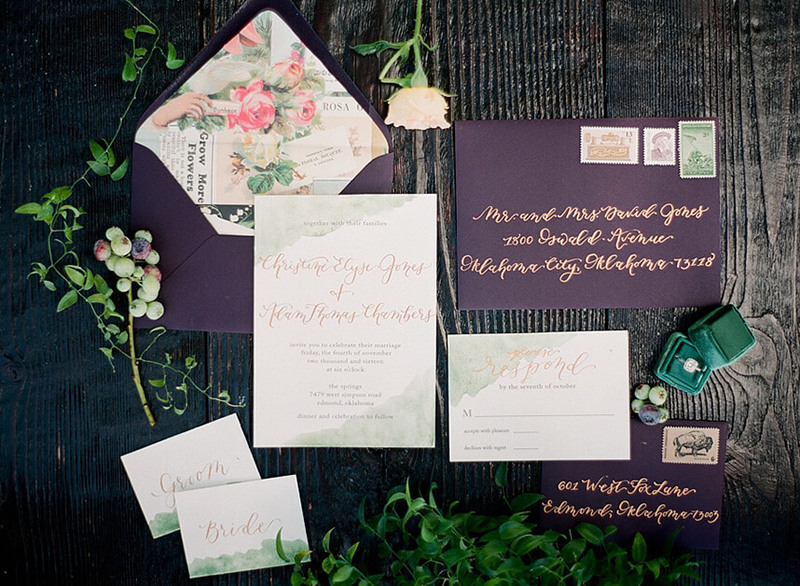 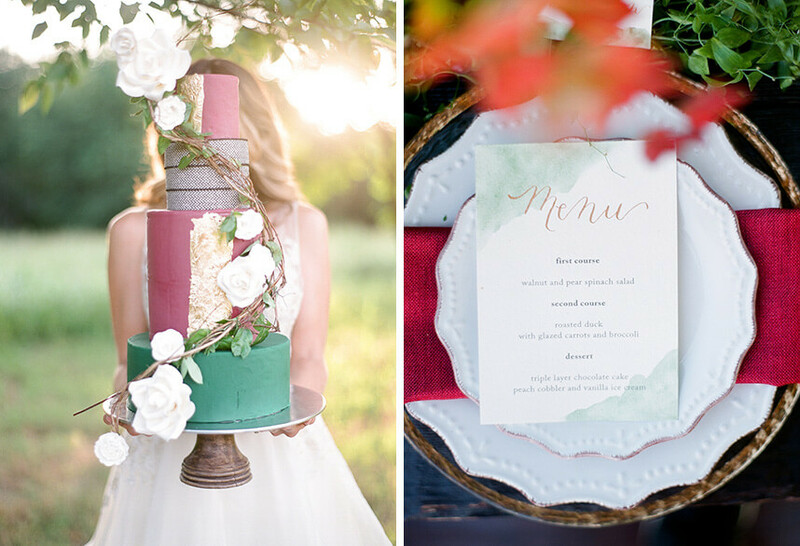 The calligraphy, watercolor invitations by Rachel Kathryn Designs and the towering cake from Brown Egg Bakery add a touch of whimsy. 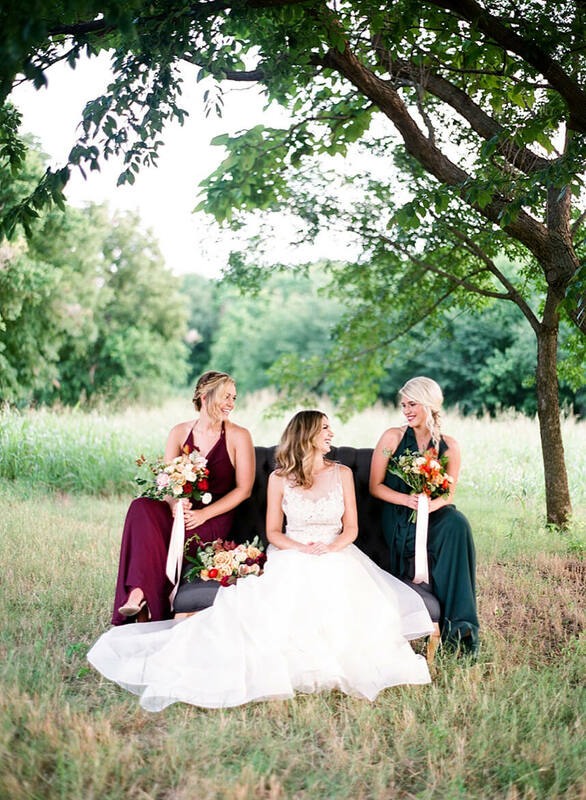 The incredible stylists from Blo. 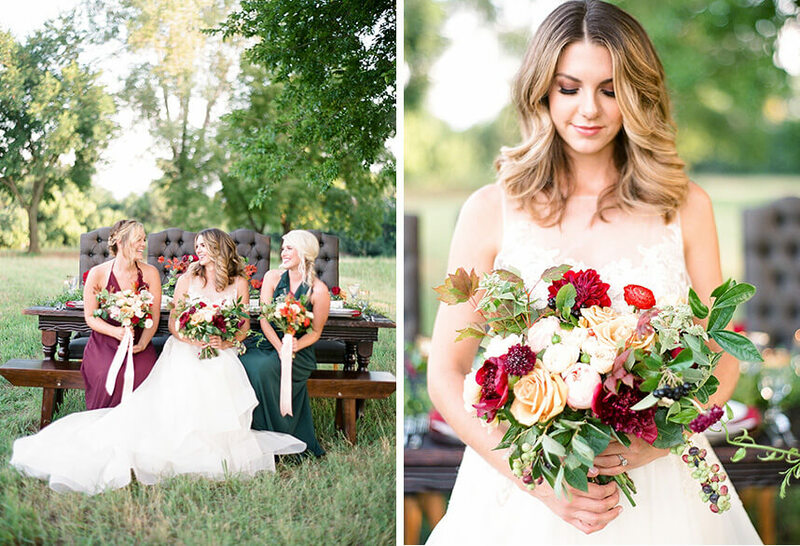 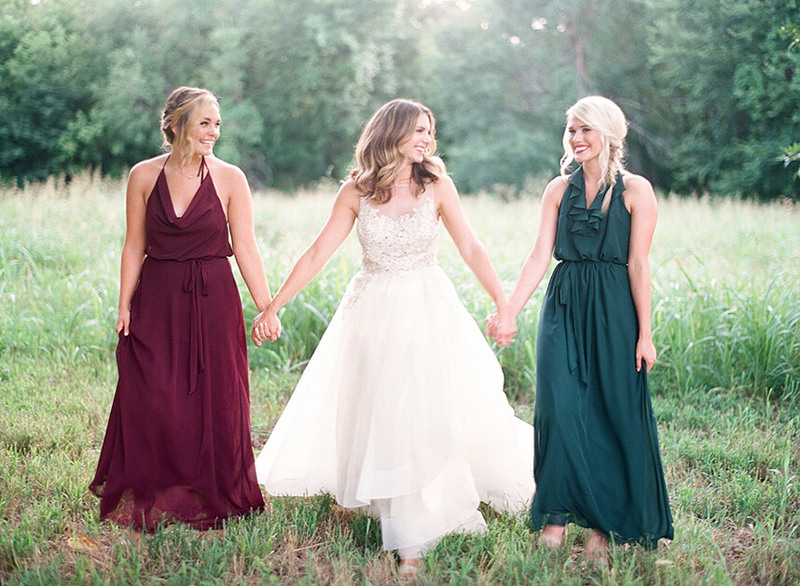 created the models’ stunning hair and makeup, pairing beautifully with the jewel-tone gowns from Prescott Bridal. 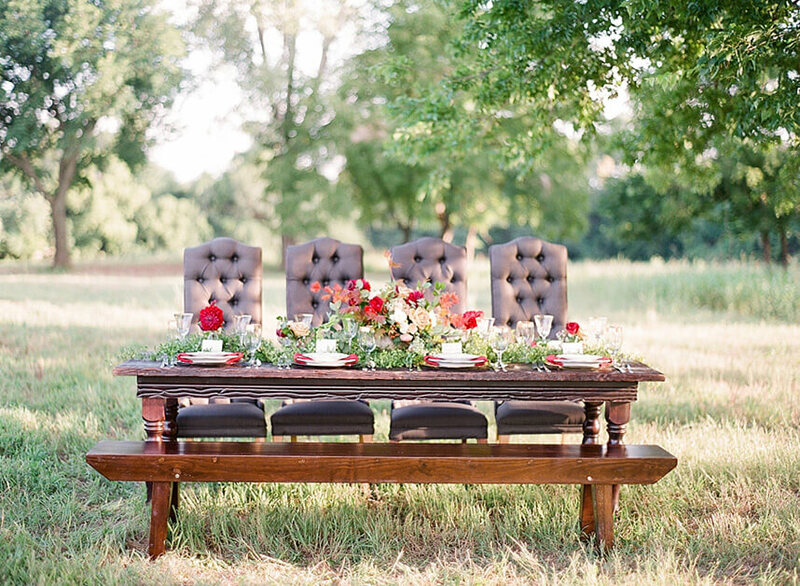 Dewberry Cinema captured the entire scene in the video above – be sure to watch. 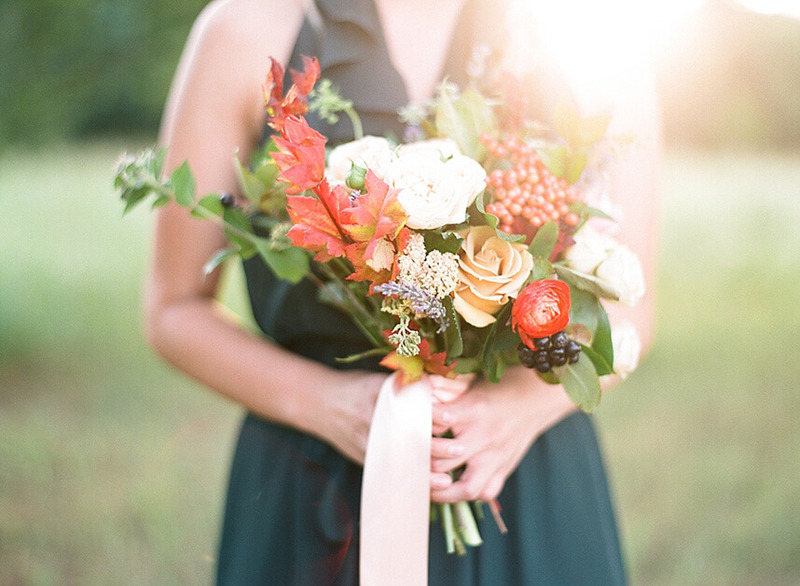 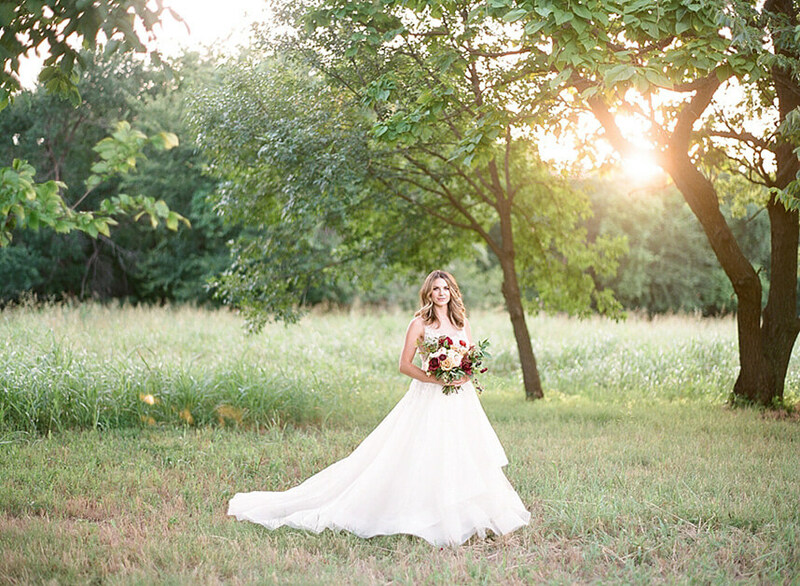 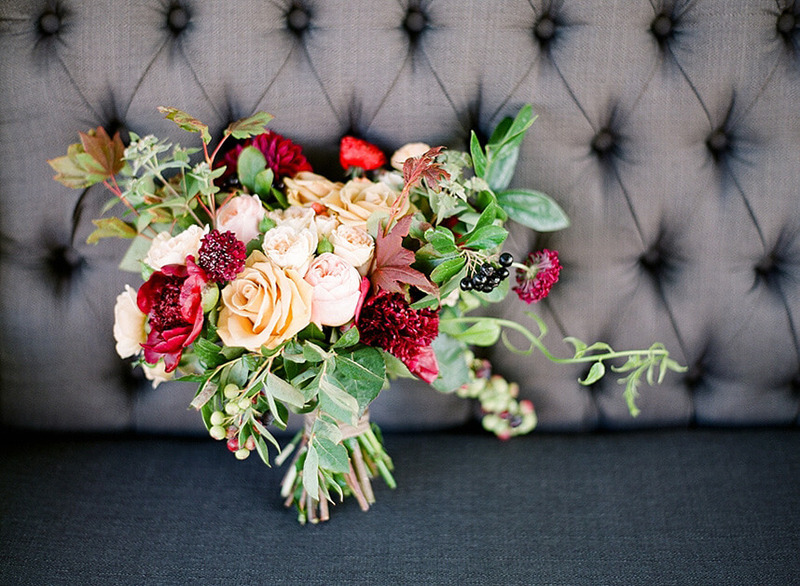 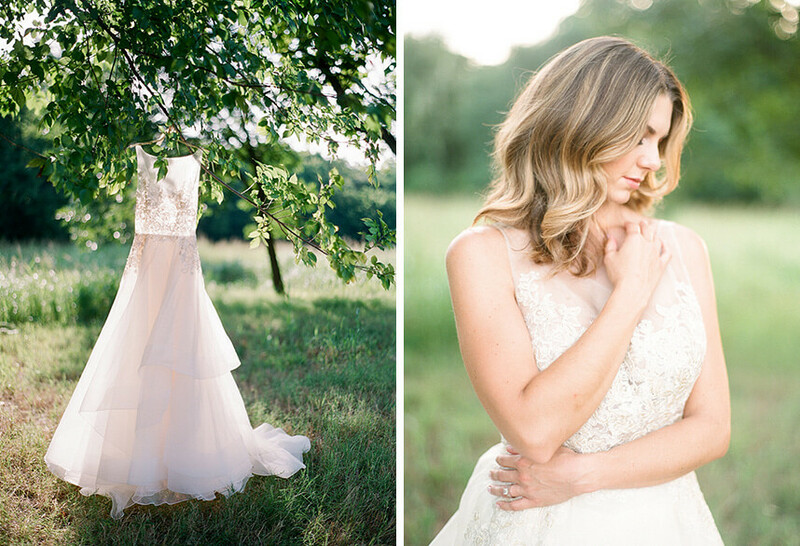 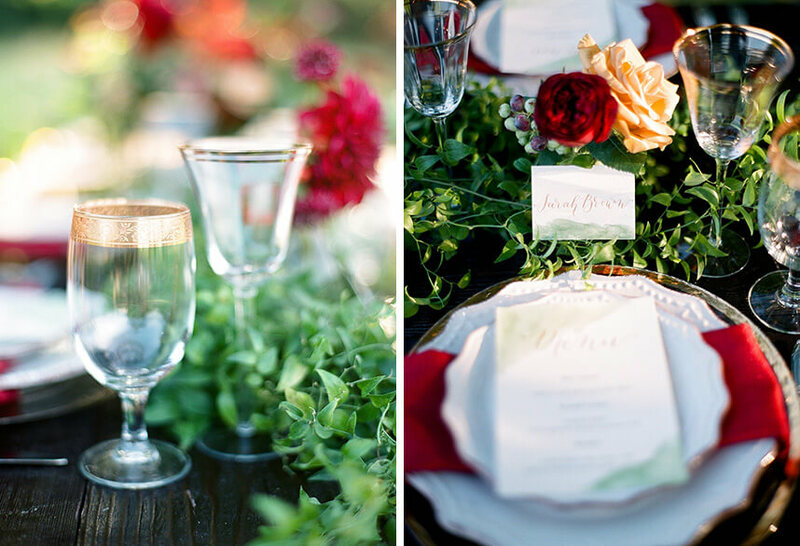 Enjoy perusing this oh-so-charming shoot – Cheers!